Reframe how you see coffee. The new Nespresso VertuoLine Evoluo coffee system provides freshly brewed Coffee with crema and authentic Espresso through revolutionary Centrifusion technology. Centrifusion provides a system where extraction parameters are individually controlled and optimized for each Grand Cru coffee. Over 25 years ago Nespresso pioneered the portioned coffee system and has been continuously innovating ever since to deliver the highest quality coffee experiences to consumers worldwide. To obtain the perfect coffee or espresso, Nespresso experts seek out only the ﬁnest Grands Crus green coffees, which promise to offer the most tantalizing aromas. The virtuoso 'alchemists' compose the blend from these diverse origins and decide upon a speciﬁc roasting and grinding proﬁle. Each Nespresso Grand Cru has a distinctive character. You can, depending on the variety of different recipes, enjoy Nespresso with milk. When combined with creamy milk foam, you will experience a whole new variety of flavors. The Nespresso Club Services. A world of services at your disposal. The Nespresso Club is always there for you, online, by telephone (877.964.6299) or in one of our Boutiques. 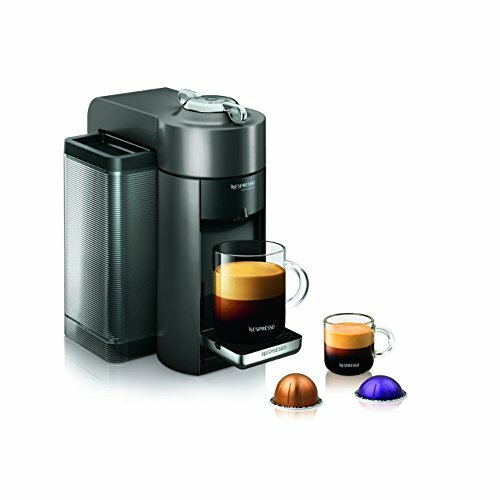 Order your Nespresso capsules, receive personalized advice, and obtain technical support for your machine. Whatever you are seeking, the Nespresso Club and its Specialists are with you every step of the way. Benefit from quick & easy ordering whenever, wherever. Nespresso capsules are made of 100% recyclable aluminum. As the perfect protector of coffee, aluminum capsules keep over 900 distinct aromas safe from the elements. Find locations to drop off your used Nespresso capsules free of charge at over 88,000 UPS locations and Nespresso Boutiques by calling the Nespresso Club for immediate assistance, 877.964.6299.